ISO-LEN® 1000 has been proven for many years in various fields of application. Due to its wide range of characteristics, this all-round material is being used in products in all areas of technology where particularly high demands on material are required. By adding additives, we also deliver PE-UHMW finished parts with antistatic properties (ISO-LEN® 1000 AST) or with electrically conductive properties (ISO-LEN® 1000 EL). 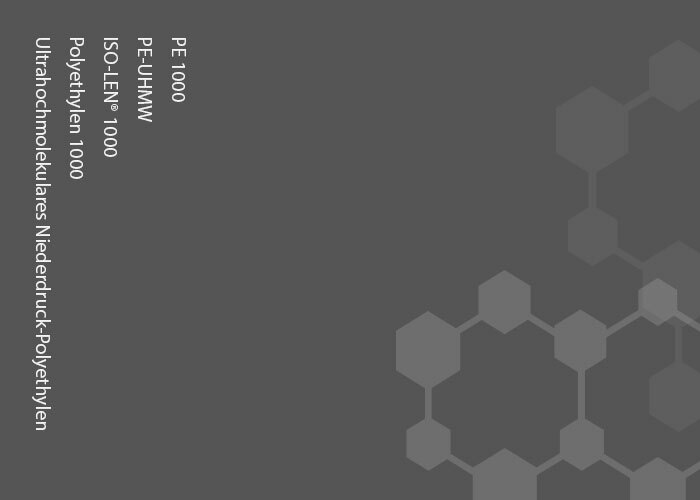 You would like to know more about ISO-LEN® 1000 or about a specific application? We will be happy to help you. We look forward to hearing from you via telephone, e-mail or our contact form. Detailed material data can be found in our download section.